Summer months in Istanbul can be oppressively hot. In a city that seems more prone to laying asphalt than planting trees, a public place in the shade is hard to find. Though many Istanbulites escape to the green spaces outside of the city on weekends, we’ve compiled a few inner-city options for the urban picnicker looking for a break from the heat. First you’ll have to assemble the picnic basket. 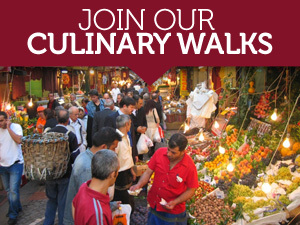 For its bountiful shopping options and convenience, we suggest doing so in the Cihangir neighborhood of Beyoğlu. In addition to a Carrefour supermarket, which is useful for certain picnic essentials, this area also has a few gourmet shops and fruit stands that easily fill the basket. A visit to Antre, a handsome little gourmet shop just off of the main intersection at the Firuzağa Mosque, is a window into the world of high-quality Turkish foodstuffs. Nicely packaged Turkish olive oils and jams line the dark wooden shelves, alongside coolers filled with local and imported cheeses and meats. Any of the firm Turkish cheeses will hold up best in the heat and all are available for sampling. We recommend the eski kaşar and the cow’s milk tülüm, as well as the olives stuffed with almonds or orange peel. Antre also offers some very tasty, prepared foods such as mücver, or fried zucchini patties; çerkez tavuğu, an earthy, Caucasian-style chicken salad made with ground walnuts; and sarma, grape leaves stuffed with rice. Any gourmet item not found at Antre will likely be available up the street at Gusto, another neighborhood specialty foods shop with a large selection. Summer in Turkey also marks the arrival of superb cherries, melons, apricots and sour green plums. Four doors downhill from Antre is Yılmaz Manav, a fine little fruit stand selling whatever is fresh and in season. For baked goods we head over to Komşufırın, a bakery where you’ll find everything from French-style baguettes to large round Turkish village loaves. It’s all fresh from the oven and sliced upon request. Finally, it’s time to fill the cooler. 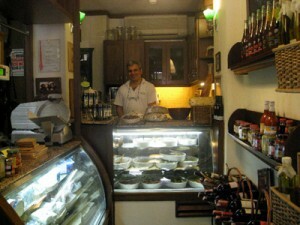 La Cave, Cihangir’s best-stocked wine shop, can help with that. The knowledgeable, English-speaking staff can lead you to a decent bottle of local or imported wine. 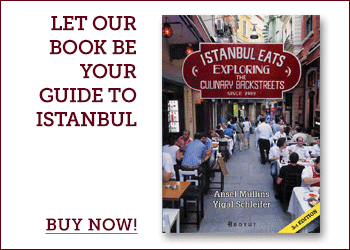 Wine in Turkey – local or imported – is heavily taxed, so be prepared for sticker shock. For the sake of keeping the picnic local, we opt for a cold bottle of Sarafin Sauvignon Blanc. Though the prices are a bit cheaper across the street at Carrefour, the selection at La Cave is superior. Beer and other cold carbonated drinks can be had at the Carrefour as well. Yıldız Parkı may be home to an Ottoman palace and several other imperial structures, but our attention is held by wide expanses of greenspace. There are trees, shrubs, grass and many other green things we thought to be all but extinct in Istanbul. The wooded hills within Yıldız Parkı make for a picnic scene from Versailles. Well-marked paths will direct you to the bathroom and other facilities. For a picnic with a bit more local flavor, we head to the grassy strip of parks that extend from Sultanahmet to Samatya beside the Marmara Sea coastal road. On weekends, large extended families gather here for a full day’s excursion in the refreshing breeze from the sea. Older generations of men gather in knots under trees while women smother children who have been swimming in their underpants. The young, macho and tank-topped frantically fan small hibachi BBQs to life. Dense charcoal smoke, the hiss of one hundred and one gas camp stoves cooking tea, a cacophony of conversations and arguments, the roar of traffic, a carpet of litter and the sweet smell of the sea might cause sensory overload. But this is Istanbul, unadorned. 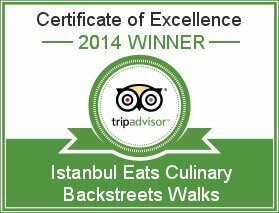 Though you may find some of your fellow picnickers occasionally trampling on your blanket, this venue remains a favorite of ours for the classic Turkish hospitality found here. In the end, it’s really just one big picnic, almost a family reunion. With any luck and a few kind words of Turkish, you’ll surely be offered a bite of something off of one of those grills and a cup of freshly brewed tea. Nice idea this… But a shame about the timing. Ramadan not the best of months for daytime al fresco dining. It’s hardly considerate and unlikely to be well-recieved! Particularly not in more conservative neighbourhoods, where washing your eats down with wine would never have been a good idea to begin with… One to bear in mind for late September or Summer 2010.
you can always go to Caddebostan Sahili (coastal line) which is way better than any coastal line in European side. 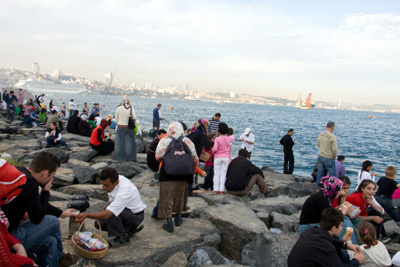 it is right behind the Migros market at Caddebostan from which you can have your picnic stuff. Helen is right…in many Muslim countries Ramadan is not the best time for picnicking. Someone should point that out to the Turkish fishermen who drink beer all day long and grill meat along the coastline near Sirkeci. Those guys definitely aren’t being culturally sensitive enough! I don’t think they’ll mind foreigners munching on some dolma on the rocks.